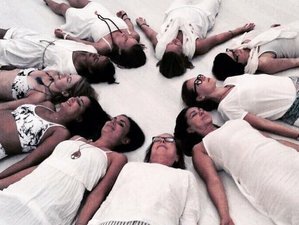 Do you want to get your 60-hour Yin level one qualification? This course is for you! Learn all about the meridians, creative Yin/Yang sequencing, Yin for meridians or health improvement sequencing, whilst experiencing body work workshops led by three experienced professionals, all this in stunning Puglia, 15 minutes away from a stunning beach. What are you waiting for? Bringing like-hearted people with higher vibes together in paradise, for yoga, surf, meditation, wellness, personal development, transformational retreats!